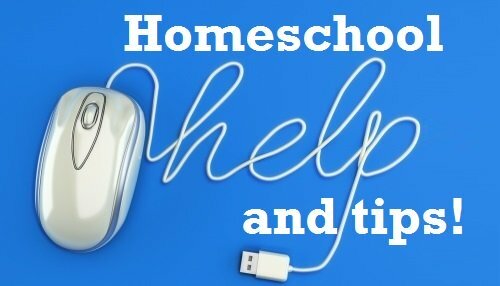 Need homeschool help? 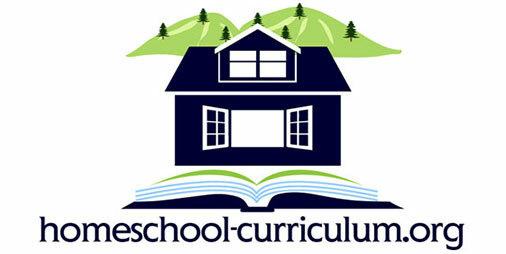 Whether you have been homeschooling for years or are just starting, there is always a time when you want help to pick a curriculum or handle an issue. Here is a collection of home school tips to help. Are you new to home schooling and don’t know where to start? Then visit our How to Get Started page for some great tips for you! Need help choosing the right curriculum? There are a lot of different curricula out there that might match your child’s needs. Deciding which one is the right choice, however, isn’t always easy, especially if you are just now getting interested in homeschooling. Instead of picking a curriculum that doesn’t get the job done, visit this page for more information. You can browse our Top Picks or read current visitor curriculum reviews from other parents like you. Each of these options offers pros and cons that you should know about. Even if you have already started homeschooling your children, you might learn about a technique or environment that sounds like a better fit for your family. Discover different Home Schooling Options! Professional teachers take graduate courses to learn how they can create effective curricula and schedules. Even after so much education, even they struggle to create classroom schedules that work for their students. Imagine how difficult it can get for parents who don’t have this level of experience. Want help setting up your daily schedule? See sample schedules or share your daily schedules here. Once you see a few examples, you can easily craft a lesson plan that matches the needs of your children. Sites like Homeschool Tracker help you to plan, track, and document progress with their Homeschool Record Keeping solution. Each state has its own educational requirements. These apply to parents who homeschool their children as well as public and private schools. Keeping up with these laws isn’t always easy, but it’s an important part of making sure that your child gets the education he or she needs without running against state law. Here are some guidelines to help you learn the home school laws and requirements in your state. As long as you follow them closely, you shouldn’t have any problems educating your children at home instead of sending them to a public school. If you don’t follow these requirements, though, local officials may try to get more involved in how you educate your kids. Have a child with autism? Autism can present unique educational and emotional challenges. Instead of trying to use standard curricula with your child, you may want to find an alternative approach that addresses his or her needs. This is something that many public schools cannot do well. There are some private schools that focus on meeting the needs of students with autism and similar conditions, but they are often quite expensive. That might even be the reason that you have decided to homeschool your children. Learn why choosing to home school an autistic child may be a good choice for you. It could help your child find greater academic success while enriching his or her life. Public schools often fail to meet the needs of children with ADHD and ADD. Instead of trying to create environments where these students can succeed, many schools label them as problems. Instead of helping them learn how to control their behaviors in commonsense ways, schools may simply send these children to detention. These are ineffective methods that do a disservice to intelligent children struggling to achieve. Learn how kids with ADD, ADHD and other attention disorders do well in a homeschool environment so you can help them reach academic success. Just because a public school couldn’t match your child’s needs, doesn’t mean that you can’t find the right strategies for academic and social achievement. Dyslexia can make it extremely difficult for some children to read and concentrate. Depending on its severity, dyslexia may even cause behaviors that disturb other students. Unfortunately, this can frustrate teachers and administrators. Even though they should look for ways to accommodate children with dyslexia, they often end up stigmatizing them. Homeschooling is often a useful way for parents to help their children succeed in an environment that minimizes the effects of dyslexia and avoids stigma. Helpful tips for parents educating a dyslexic child at home including picking an appropriate curriculum. There are a lot of educational supplements that you might want to introduce to your child’s learning curriculum. Some of them are free and some of them cost money. All of them, however, will take up some of your time. That makes it important for busy parents to weed out ineffective options so they can concentrate on the ones that have worked well for other students. 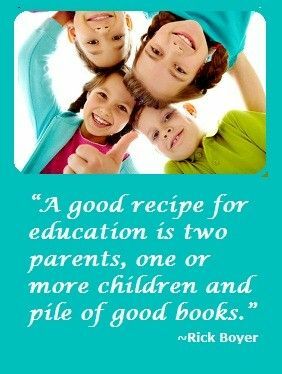 Instead of spending a lot of time reviewing educational supplements that you may not even use, take advice from other people who have already done the research. Visitors share their favorite resources, games and supplements to their chosen curriculum. Homeschooling isn’t cheap. When you want to save money, turn to these freebies. They will help you stay within your budget without sacrificing the quality education that your children deserve. These links and resources include free unit studies, free worksheets, and more! Feel free to use them as they are, or alter them to match your child’s learning preferences. Looking for word lists to make sure your children are keeping up with their peers? These spelling lists will make the job easier so you can focus on educating your kids instead of creating lesson plans. They include common words that they should know as well as some advanced words that will challenge them to try harder. Just like other skills, spelling is something that kids can get better at over time. When you use the right spelling lists, you can increase their chances of success while making sure they keep up with their peers in public school. A student’s reading skills should improve as he or she gets older. Finding books that are appropriate for your child’s grade level, however, isn’t always easy. There are a lot of books that are either too advanced or too simple. Even though some experts say that they are right for your child’s age group, it isn’t always true. Some books also contain materials that you may not want your children to learn about at this point in their lives. These recommended reading lists will help you choose appropriate books and stories for you child’s grade level. On a budget? Here are tips for keeping it affordable!